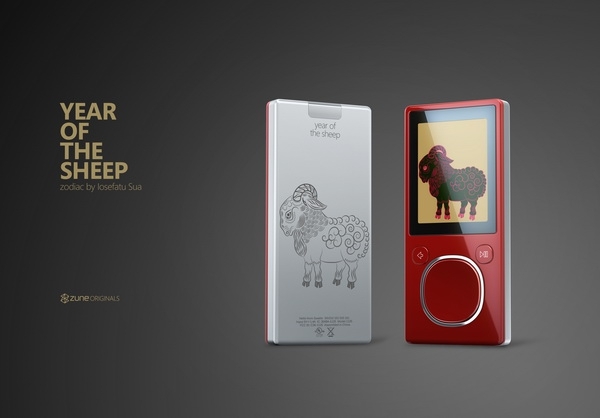 The headline speaks for itself: these are the Iosefatu Sua Chinese Astrology Zune Originals designs. 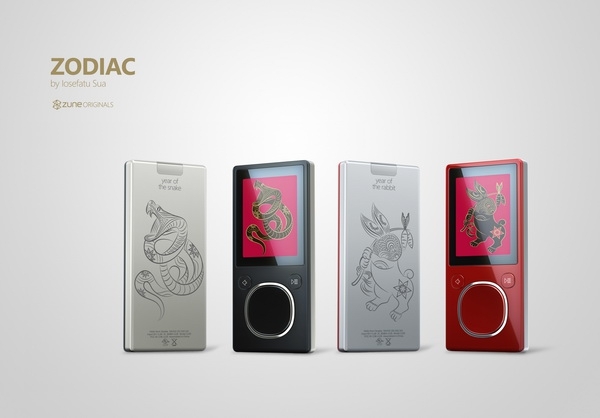 I'll point out the ultimate irony here since doubtless some of you will be thinking the same thing: because the Zune still lacks unicode support, it doesn't support any non-Latin character-based languages...meaning that anyone who has Chinese-language file names (or Japanese, or Korean, or Thai, or...) gets an ugly mess when that content is moved over onto the Zune. 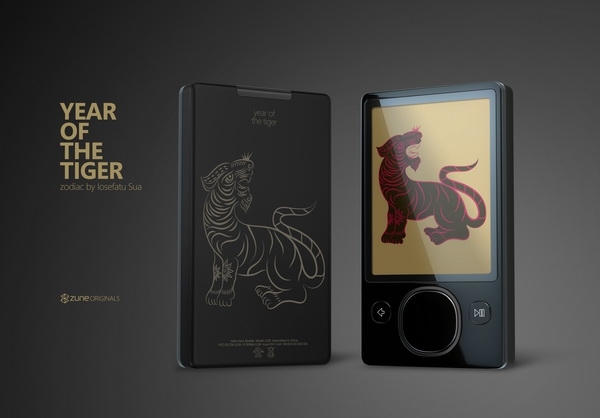 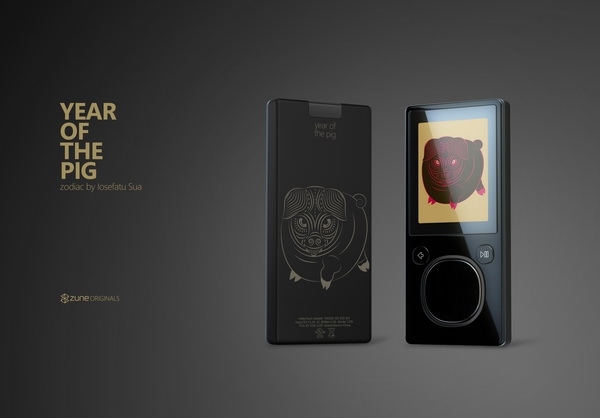 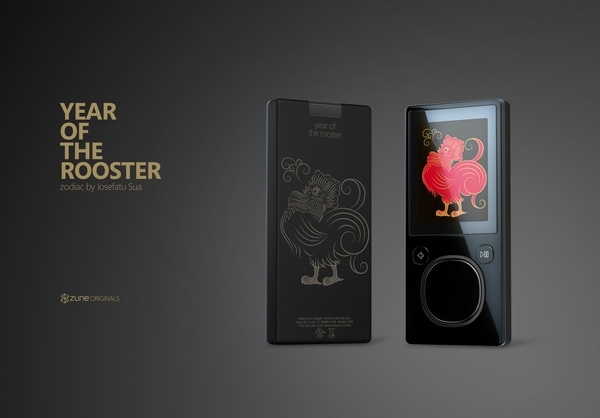 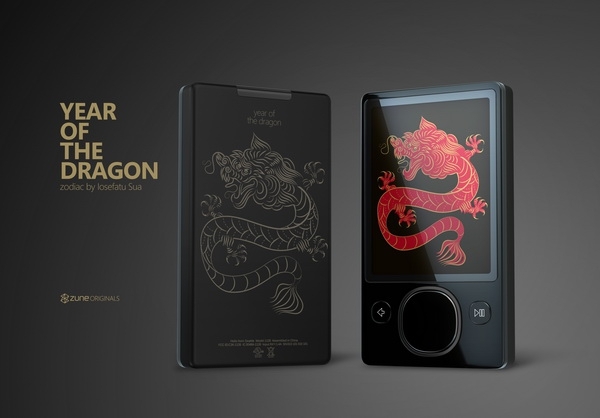 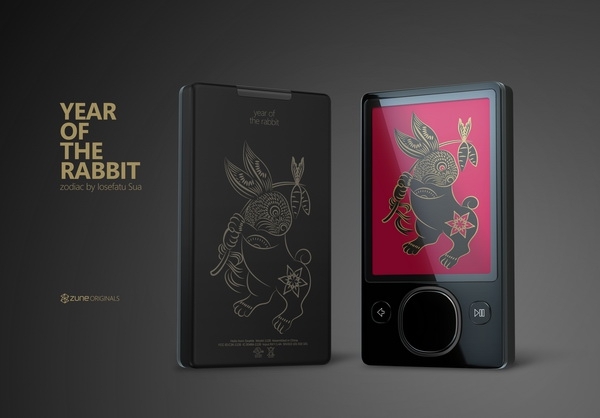 So you can have your Chinese astrological Zune, but you can't have your Chinese songs. Kind of sucky, no? 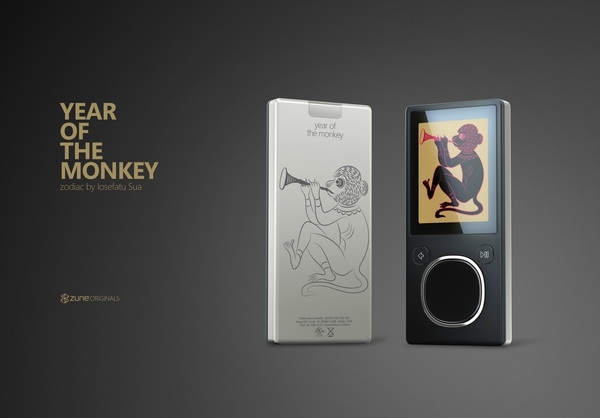 They've got to get that fixed - you can't say you're all about music as a product team if you only support certain languages. 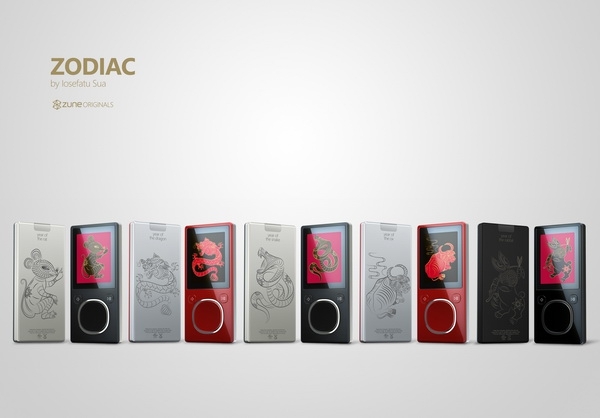 The whole collection is found after the break - they look hot!